Application to ensure high data security. Alteryx is an advanced business intelligence software, composed of 3 major components that are gallery, server and designer by which data are collected from multiple sources using which reports are generated. It provides high security for data by encryption and allows access only to the authorized users. It gathers data from multiple sources and scripting tool in this software translates the data into information. Based on data analysis reports are generated using number of predictive tools. It provides high level of customization and personalization and allows file sharing between multiple users. How much does Alteryx cost ? The pricing for Alteryx starts at $5195.0 per user per year. Alteryx has 6 different plans such as - Alteryx Designer at $5195.0 per user per year, Alteryx Designer Desktop Scheduling (Add-on) at $6500.0 per user per year, Alteryx Designer Spatial Data (Add-on) at $11700.0 per user per year, Alteryx Designer Demographic and Firmographic Data (Add-on) at $33800.0 per user per year, Alteryx Connect (Add-on) at $39000.0 per user per year and Alteryx Server at $58500.0 per user per year. Alteryx also offers a custom plan based on the customer's request. Pros: Alteryx Designer is a very intuitive way to map out a process in a step by step visual workflow which can be then executed with the click of a button. Tedious manual tasks can be automated with ease. Traditionally, programming required drawing out ones algorithm in a flowchart and then having to translate that into computer code. With Alteryx, the flowchart itself is the code. It features a vast array of icons called tools, each of which has a specific function such as importing data, filtering based on criteria, summarizing, merging information and so forth. You simply drag and drop each tool into the work area for each step in your process and then click the play button. It's like having a robot to whom you can describe your work and then have it do it for you in a fraction of the time. Cons: Alteryx Designer is excellent for data mining/wrangling for eventual output to be used for reporting but it's internal report generation and presentation tools are not as robust as others when it comes to publishing a polished presentation. I prefer to use Designer to produce my final data result set and export to Excel where I can then take advantage of Microsoft Office formatting and presentation options. Overall: As an analyst in the Finance dept of a large financial institution, my work is largely cyclical in nature. I need to produce the same output on a monthly basis and a lot of my processes require several manual steps which can take hours. With Alteryx Designer, I have been able to convert many of these processes to automated workflows which can achieve the same results in literally seconds. With the power of automation, I have more time for analyzing results instead of spending a great deal of time generating reports. Pros: I would argue that this is the number one product for data science. I have change my entire analytics department for the better with using alteryx. Cons: No major complaints on this software, my team loves it! Pros: Very well integrated with other applications to import data. Workflows can be easily automated without much knowledge of coding. Python integration helps to reach newer capabilities. Overall: Very useful for automating processes and helps to save money. Also, increases the efficiency and make human error free. Pros: Not so steep learning curve, Alteryx is built around the human common sense. The fact that you can (View/Process) the data as a branch at any stage of the processing is really useful, and the way the software designed allows you to go backward and see what happened. Cons: The limitation of some tools and the high barrier to developing new functionality. Overall: Overall, am a happy user, ALteryx saved time and effort on daily basis and opened many horizons for me to clean he data in a timely manner. If you work in a dynamic environment where quick steps in data cleaning and wranglning are required in no time then ALteryx is your first option. Pros: Very useful to automate manual workflows with repetitive tasks. Python Integration helps to ease out the process. Saves a lot of cost. Integration with other servers and applications is top notch. Cons: Costly license limits the use. Requires training for getting used to it. Overall: Helps to increase efficiency and saves money for the company. Pros: Let's be honest Data Science can be hard. Alteryx helps you do some of the heaving lifting. Can be used to blend, analyze , clean data and more. Pros: You can do so much with Alteryx! We acquired the software for one specific project but I find myself using it for so many other things, from day to day data work to other large projects. It has great features like fuzzy matching, data normalization, and join capabilities. It is great for working with large data sets that can't be easily managed in excel or access and for allowing multiple data sources to interact with each other. Cons: There is a bit of a learning curve. However, once you understand how it all works its easy. Also there are so many tools and more than one way to achieve the same thing. It can be hard to know how to approach new projects. Overall: Alteryx has been great! It solved our business need plus so much more. The number of users in my company has been expanding since we first started using it. Pros: With Alteryx, you're creating a workflow to alter the data, rather than altering the data directly. Because you're creating the workflow, each of the steps are easily auditable and you can swap out the source files when it changes. This is a huge bonus and time saver as data will tend to change. Cons: Alteryx has a huge learning curve. It's hard to get started without some sort of live tutorial from someone that has been using it for a long time. 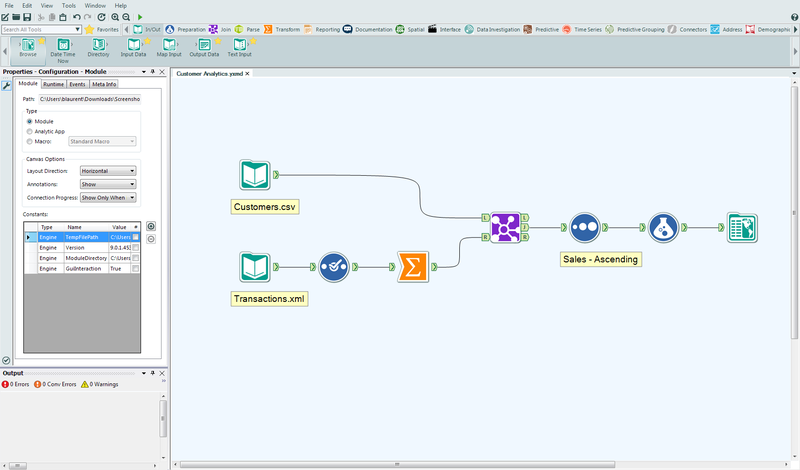 Overall: I like Alteryx as a data mulipulation tool but it's also very diffult to learn. Pros: - Great for data prep and processing. Very light weight ETL tool. "Data Analytics Tool Saving Me Hours"
The non-coding-heavy interface of Alteryx makes it easy to use, even without a computer-science background. It has a very good GUI, and the tools are well-defined and easy to understand. Alteryx capably handles massive datasets, manipulates them with ease, and helps join disparate data to form more meaningful outputs that aid in decision processes. There are several things in Alteryx that could be made better. For example, if I want to prepend a date to an output Excel file, it would be nice to simply have a checkbox option on that output tool that says "prepend today's date to file". Currently, I have to use a formula tool that incorporates the text of the entire file path, a DateTimeNow function, as well as the rest of the file name as text, and then choose to "Replace Entire File Path" from X field to do the same thing that a simple checkbox could accomplish. I'm sure the backend coding isn't so simple, but given the massively complicated tools already built into Alteryx, I'm sure it is possible. If you currently use Informatica, Alteryx is a huge step forward, especially in its transparency of operations and ease of implementation of scheduled workflows and shared workflows. 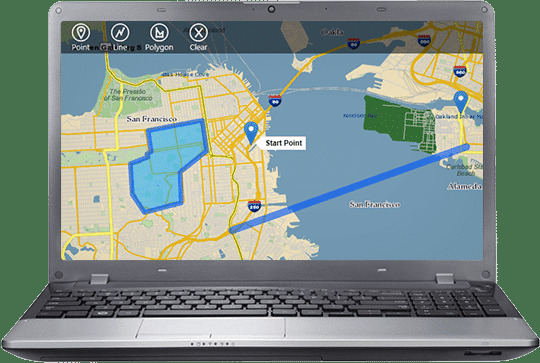 I use Alteryx to assemble, clean, and join multiple sources of supply chain data into a single database that can be analyzed against internal and external necessities. Instead of relying on multiple individuals to create, interpolate, and send me data, Alteryx allows me to connect to both source databases and off-line files, and has the tools to automate the cleaning and prep of those data. 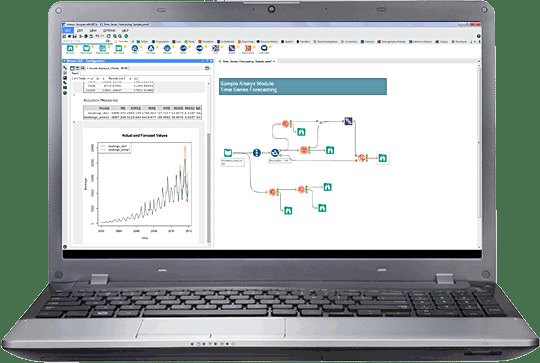 Furthermore, Alteryx has advanced transposition, summarization, and union/join tools that allow me to pull together all data related to our company's list of SKUs, allowing for a one-stop shop for analysis with the formula tools and other predictive analysis tools.